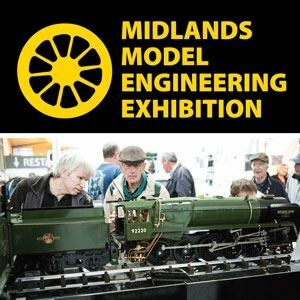 The Midlands Model Engineering Exhibition is regarded as one of the premier modelling events in the UK. Each year the event attracts thousands of visitors and is supported by around 50 specialist suppliers. The exhibition showcases hundreds of models from over 40 clubs and societies as well as individual competition and display classes. There is also a wide range of outside attractions, workshops and a full lecture programmes.